I hold a first degree from Cambridge and an MA from Birkbeck both in English. I am currently completing a PhD in Modern American Literature, Film and Politics. 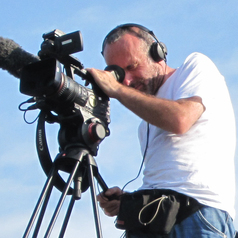 I am a professional film- and programme-maker with over 30 years network experience with BBC, ITV and C4. I have held 12 Series Editorships and before entering academia was Commissioning Editor for News and Current Affairs at Channel 4. I teach documentary production and theory, narrative theory, practical studio and film-making, and I also focus on film and TV as contemporary industrial, cultural and political practices.